Learn the basic elements for embellishing classic period furniture. 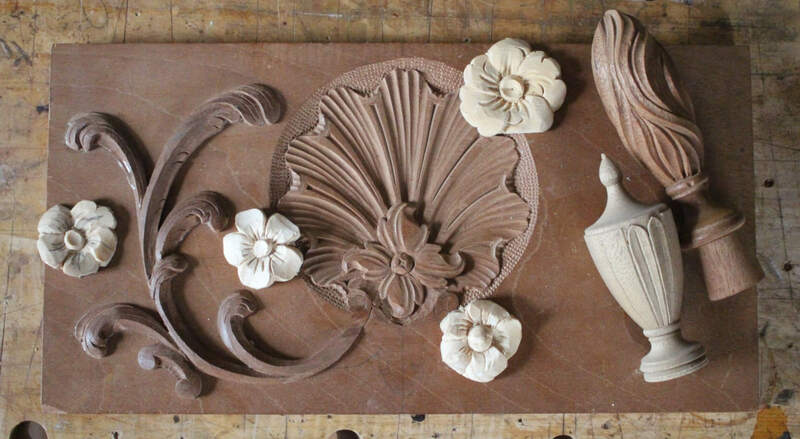 This five day class will cover the basic elements for embellishing classic period furniture. We will layout and carve elements that are often seen on chairs, such as shells on knees and crests, as well as decorative elements on case-pieces, such as finials, rosettes and fan-carved draws. The best pieces of early furniture are distinguished by their decorative elements, so take this opportunity to learn the basics and spruce up your next project with some impressive details. No prior carving experience is necessary. Numbers correspond to the Pfeil designations in the Woodcraft Supply catalogue.